Putting out the garbage is one of those weekly chores that has not changed much through Canberra's history. 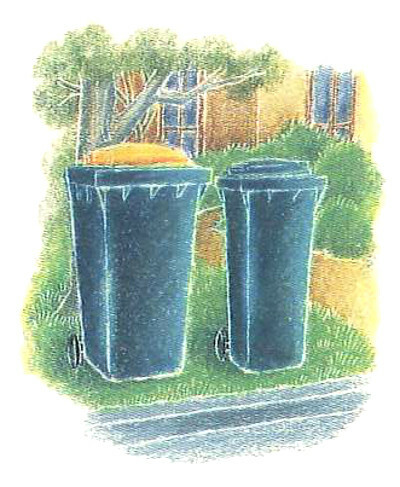 The arguments over whose turn it is to carry the bins to the curb are still with us. However, a major change in the way Canberra residents managed their household garbage occurred during 1994. It was the year that the residential "Big Bins", or Wheelie Bins, were introduced. The records covering the introduction of the big bins are now 20 years old and open for public access making them ArchivesACT's Find of the Year. It would be nice to think Canberra was at the forefront of this new, environmentally friendly technology, but this was not the case. Some NSW shire councils were using 240 litre big bins as early as 1979 and they were already in use in both Queanbeyan and Cooma by June 1986. During 1984/85, the ACT Administration completed a financial and technical evaluation for different types of garbage collection services. 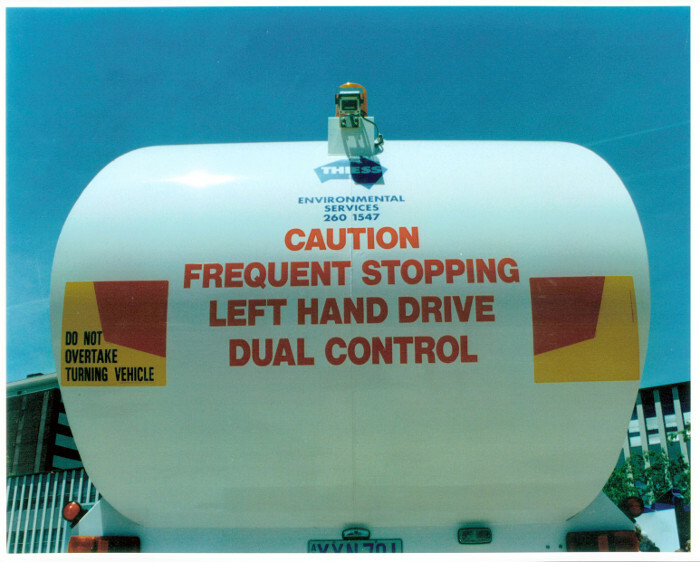 As part of this evaluation, Rapid Rail brought four big bins to Canberra for a demonstration in Tweed Place, Kaleen. Someone in the neighbourhood may have seen some value in the new bins. The Canberra Times reported, "the bins mysteriously disappeared" after the demonstration. In October 1985, the ACT House of Assembly recommended the introduction of a "mechanical, single operator "big bin" collection system." There are several advantages of the big bins over the previous collection system. The larger bins meant a reduction in garbage collection from twice a week to once a week. This, along with only a single person required to operate collection trucks, provided "overall economic benefits." In addition, the mechanical lifting of bins provided a "safer working environment for collectors and the elimination of unsatisfactory work practices." However, the Minister for Territories, Gordon Scholes, was "concerned about making a decision which committed the ACT Administration to extra recurrent expenditure so close to Self-Government." But the public discussion did not end there. The merits of big bins were vigorously debated in the Canberra Times letters throughout the remainder of the 1980s. Those who supported the introduction of big bins were, in the main, recent residents to the ACT. They would point out their previous personal experiences, citing once weekly collections and less noise as benefits. However, the majority of writers were against the big bins . Many were concerned that the weight of a fully laden 240L bin would be too much for the elderly and frail. Surprisingly, conservationists were also in opposition. At the time, Canberra residents would drop off their recyclables at local drop-off centres. Many locals feared that providing 240L capacity bins would result in recyclables ending up in landfill rather than the recycling drop-off centres. Historian, linguist and Forrest resident Dymphna Clark, who was also the wife of Manning Clark, was stirred to write "This system of garbage disposal would truly turn Canberra into the waste capital of the Southern Seas." She continued, "Nothing - not the spectre of a debtor's prison - would induce me to pay additional rates to subsidise the big bin system." 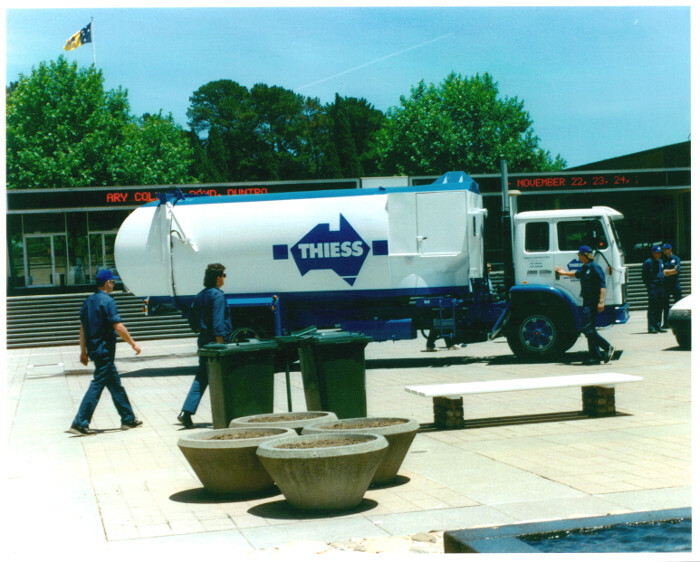 In 1991, the Waste Management Section of the Department of Urban Services (DUS) began trialling 240L "mobile garbage bins" (MGB) in selected public areas in Canberra. At the time, there were around 3000 steel bins across Canberra, most fixed to the ground. The trial big bins replaced 55L metal bins around Civic and the foreshores of Lake Burley Griffin. and The ability to reduce overtime on weekends by not having to have the bins cleared daily. One of the big savings was in capital costs. The 55L metal bins in use at the time cost close to $1000 once installed and their life expectancy was only three to five years due to rust and vandalism. A single 240L big bin, plus lockable metal stand, was only $526. Added to this was a life expectancy of around ten years for the big bins. The 1992 report 'Litter Bins in Public Areas' concluded: "By way of example, the initial capital cost for providing litter bins in Bunda Street would be approximately $2000 for MGB's compared to around $14000 for the decorative 55 litre bins (or $28000 over the life of the MGB's)." The trial of public use big bins attracted a great deal of community interest. DUS were soon receiving requests from many community and school groups specifically for the supply of big bins for use at the festivals and events they were organising. 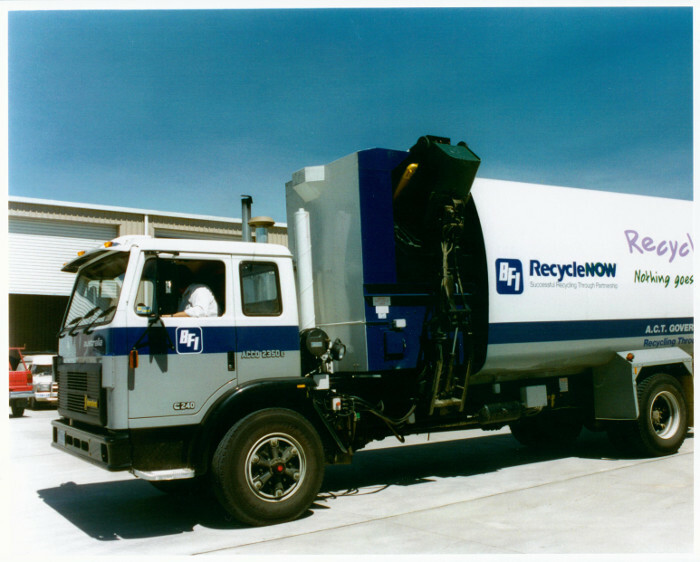 In 1992, coinciding with the release of the 'National Waste Minimisation and Recycling Strategy' and the expiry of current garbage contracts, the new ACT Government embarked on a larger big bin trial. At the time, Canberra households discarded 41,600 tonnes of mixed garbage per year. This material was collected twice weekly in up to two 85L hand bins by vehicles using a three person crew. At the time, Canberra also had one of the highest rates of recycling in Australia with 30,000 tonnes collected at several recycling drop-off centres. The trial commenced in November 1992, with 2600 Kaleen households supplied with two 140L wheeled bins, one for garbage and the second for recyclables. The two bin system was to avoid the potential impact on recycling rates that a single 240L bin may have had. Three different combinations of bins were trialled. The recyclables collected during the trial were sorted at a Materials Recovery Facility constructed for the purpose of the trial. ACT Waste Management carried out regular surveys of material collected in garbage bins to assess the recovery rate achieved through the recycling bins. All of the collection systems trialled were found to be equally effective in recovering recyclables. The average weight of recyclables recovered in the trial was double that collected at recycling drop-off centres. At the same time, the amount of garbage collected fell by about 40%, from over 8kgs per household per week down to 5kgs per household per week. As a result of the trial, the ACT Government called for tenders for the introduction of a new garbage collection service, based on a weekly collection of a 140L wheeled bin for garbage and a fortnightly collection of a 240 litre wheeled bin for recyclables. This collection format continues to this day.